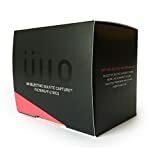 Ullo Selective Sulfite Capture Replacement Filters (10-Pack) – My Home Wine Bar ! Amazon Price: $35.00 $29.99 You save: $5.01 (14%). (as of February 3, 2019 5:05 am - Details). Product prices and availability are accurate as of the date/time indicated and are subject to change. Any price and availability information displayed on the Amazon site at the time of purchase will apply to the purchase of this product. Additional filters for your Üllo wine decanter / purifier…. SULFITE REMOVAL – Sulfites are artificial chemicals added to wine as a preservative and are no longer needed once the bottle is opened. Each filter purifies 1 Standard (750 Milliliter) bottle of wine. Üllo purifies wine using a food grade polymer to selectively remove sulfites, while allowing other compounds in wine to flow through unaffected. Through Selective Sulfite CaptureTM, sulfites are filtered to reveal more of the wine’s natural flavors and aromas. TO AIR, OR NOT TO AIR? – Because some wines prefer being aerated, Üllo was designed to purify and aerate wine in the same pour. With a simple twist, you can opt to aerate your wine if desired. The purified wine flows through Üllo in a visually appealing helical shape allowing the wine to breathe. BY THE GLASS, OR BY THE BOTTLE – The Üllo purifier works comfortably on top of a variety of wine glasses, as well as the beautifully crafted Üllo carafe and decanter. After serving, Üllo can be returned to its base, which is designed to capture any unruly drips. Üllo warrants that all our products will be free from defects in materials and workmanship for a period of 6 (six) months from the date of purchase.